There are several sites that sell Bitcoin, but one of the best in our opinion is Coinbase. Coinbase is an easy and secture bitcoin wallet. Go to https://www.coinbase.com/join/55afcf6269702d01bd000003 Here fill in all the required fields once you have done that verify your account with email or with the text verification. Your account is now ready for use! Final step buying the BTC at the moment 1 BTC = $4354 don't worry you don't have to buy 1 bitcoin in order to use it, you can use parts like 0.05 BTC which is worth $217,7 with the price of $4354. Zezima is planning to buy 100M so he will need $116.4 which is 0.0267340376 BTC. Go to the buying page on Coinbase to purchase your BTC first verify your Debit or Credit card once you have done that fill in the desired amount of BTC you want to buy. This take take a couple of minutes. 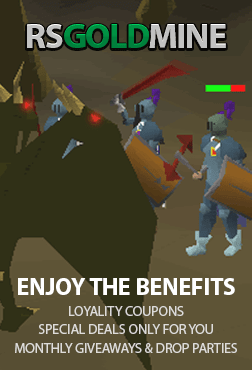 Now that you’ve got Bitcoin sorted it, jump over to our webpage for buying Runescape Gold at https://www.rsgoldmine.com/buy-runescape-gold. Now that you’re at the checkout page, look through all our options of payment platforms, and select Bitcoin (Got a coupon code? Enter that in now!). Double check everything is right, and click the ‘Checkout’ icon in the bottom right corner. Once you’ve done that, you’ll be connected with the live chat. You will be givin a bitcoin address where you can send the BTC to. Once. you have done that the live chat agent will give you a Blockchain link where u can track your payment. Once your BTC payment has 1 confirmation you can pick up your OSRS Gp (Hooray!). Step 4: Collecting Your Runescape Gold Now that you’ve made your way up to this point, you deserve your OSRS Gold! Simply let the live chat agent know that your payment has 1 confirmation and he will quickly check it and give you a world and location to pick up your OSRS Gold! Any more questions? Our live chat team would love to answer them! You just bought OSRS Gold with BTC!